Lazada is another online marketplace that has a few similarities like those existing e-commerce such as Amazon, and Rakuten. It provides a platform that enables third parties merchants to sell, and advertise their products online via Lazada. In other words, Lazada does not have the products in-store, and most of the items are kept by the merchants. 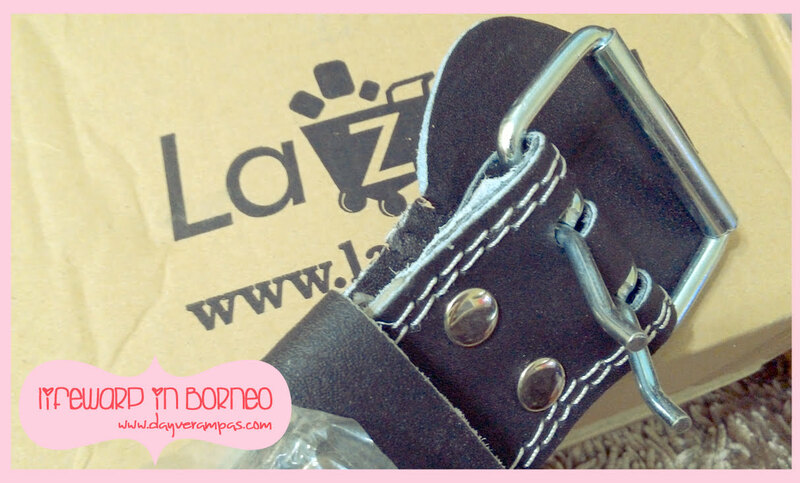 That’s why there will be longer period for your items to reach you because Lazada has set a policy to have their merchants (3rd party, and outsourced) to send out the items within 48 hours or 2 working days. It should be noted that since Lazada has different merchants, the delivery period might be longer than what you’re expecting. The business concept is pretty simple to understand, and that’s why I won’t simply blame Lazada for being negligence. However, I would like to point out the quality control which Lazada should pay more attention to (rather than ‘spamming’ more offers, and discounts over Line, KakaoTalk, and other social networks). 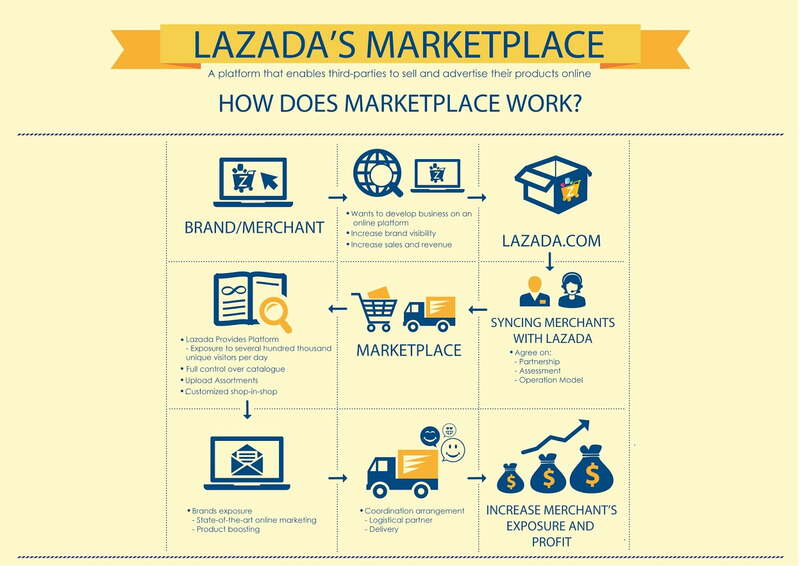 I must admit that Lazada has a very good marketing strategy – a powerful yet aggressive one! Here’s another shopping nightmare which my hubby experienced. He’s a loyal Lazada customer, and he would usually place order from Lazada. Yes. This is not his first time dealing with Lazada’s merchants. However, these two (2) merchants really disappoint him. Okay. 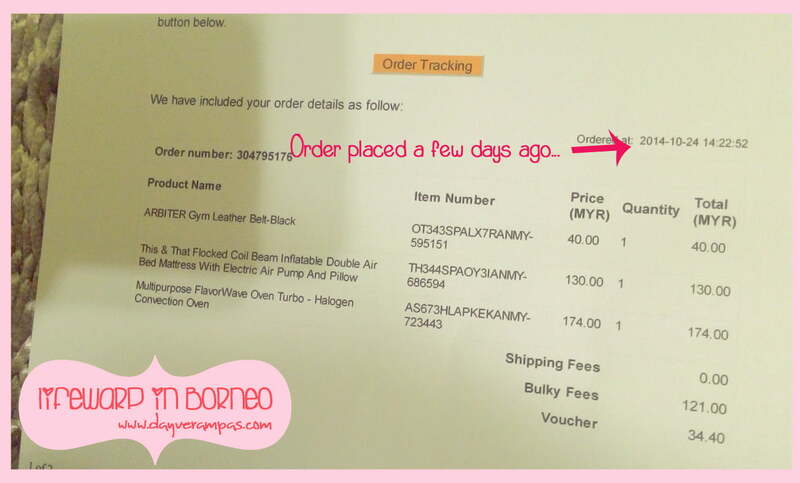 My hubby placed an order with Lazada on 24 October 2014. I don’t have to elaborate what items he ordered as you can see the items clearly stated on the invoice generated by Lazada. There are 3 parcels delivered on 28 October 2014. I was the one who signed the GDEX delivery receipts. 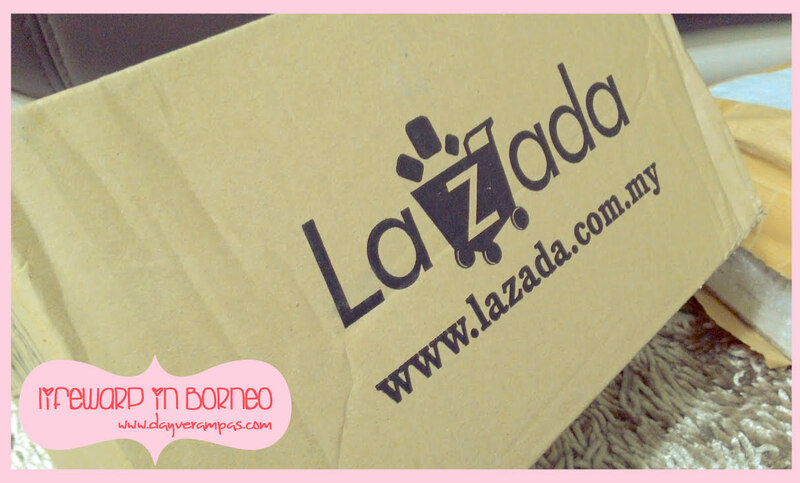 One box with Lazada printed on the box. Very light and I almost thought it’s an empty box. LOL! 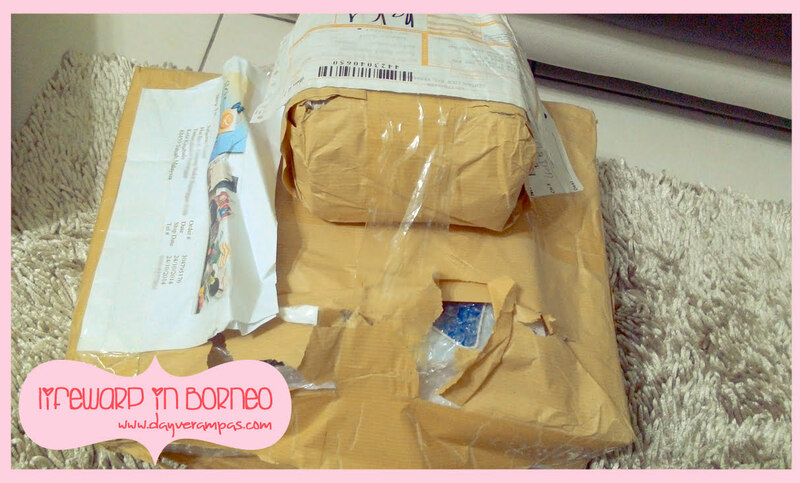 I was pretty surprised when I saw these 2 parcels which are wrapped in a very ‘mangle’ condition. Koyak rabak! I did ask the GDEX personnel about it, and he could only reply, “Memang beginilah kami dapat masa sampai di sini KK. Kalau ikut betul, ini bukan standard kami untuk hantar barang dalam bungkusan begini.” I cannot blame GDEX as the issue should be directed to the merchant. Packaging – Failed! Customer pay to experience good delivery service, not this kind of lousy packaging. Please lah. 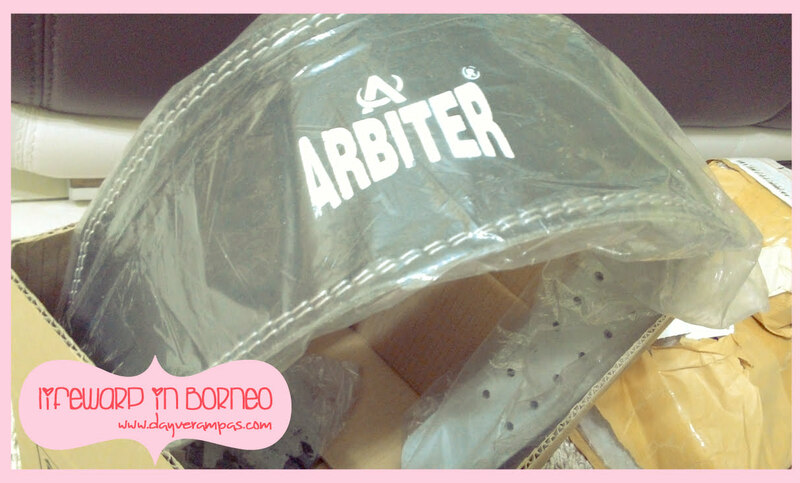 RM15.00 for shipping fee, and receive this kind of packaging. I had to check everything to ensure that there’s nothing hilang. Even the GDEX personnel also advised me to check this package before I signed the delivery receipt. You can check out the gallery below for more photos. All items are in good condition. Missing items? Zilch. What would you do when you received a damaged/broken, or old stock (almost obsolete) item? My hubby placed order for a gym belt. It’s pretty cheap, especially when it’s on sale. 50% discount sure banyak wor! Alas, the merchant’s name has been omitted which it makes pretty difficult to find out which merchant but we later found out (with the help from Mr. Vijay of Lazada) that the real merchant can be traced down from the printed GDEX waybill. 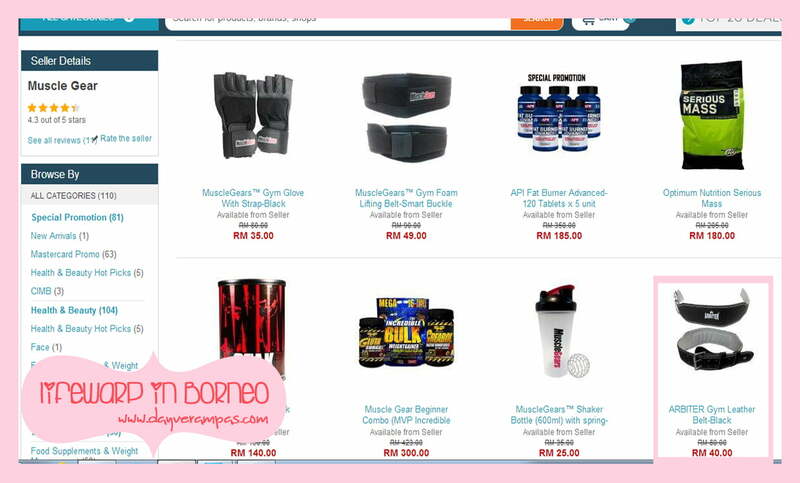 [Latest Update: 11/01/2014 1:14:46 AM] : After checking with Lazada, and my hubby (asked him several times). 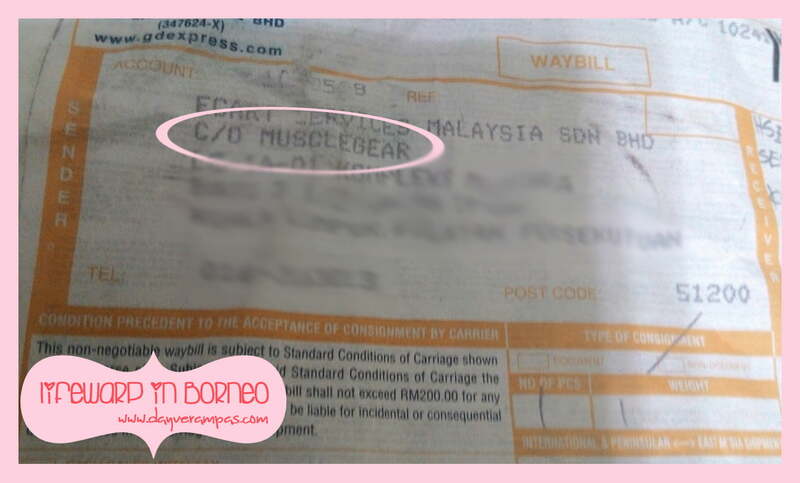 We later found out that the real merchant is Musclegear (not ‘ComfortSurf’ as mentioned earlier, and apology email for the misunderstanding has been sent out as my hubby did also placed order from them and the item is yet to reach us). Thanks to Lazada for being helpful to give us enough guidance on how to check for the merchant that has delivered the broken/damaged gym belt. Sorry, bro. 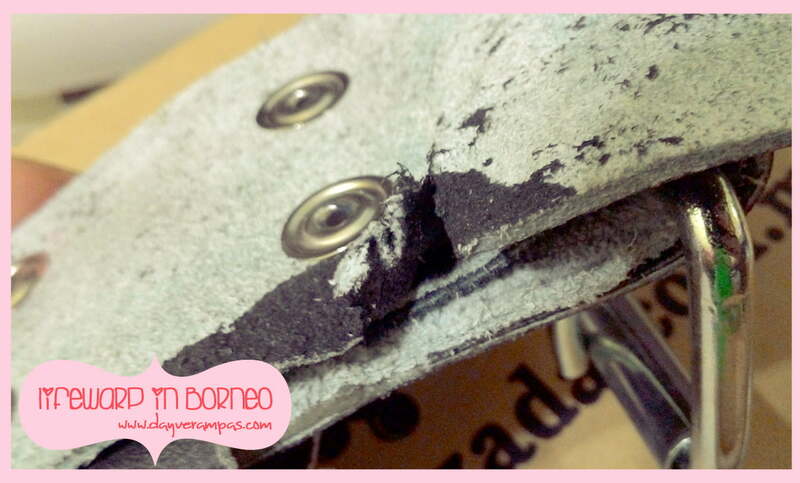 We have no ill intention to ruin your business but to receive such defected, broken, and damaged item is unacceptable. Please provide invoice/receipt/delivery note when you deliver the item to your customers so we can check if it’s the correct item delivered to us. We love to be your loyal customer, and we’re hoping that this won’t happen again in the near future. The name is clearly stated on the waybill. Here’s the gym belt! WYSIWYG. As seen on Lazada. Wrapped in a plastic, and put inside the box. We tried to find the invoice but there’s no invoice from the merchant (because the other one got invoice included). Dear merchant, please include invoice/receipt when you deliver items to your customers. That’s one of the basic procedures when doing business. Customers also want to check mah. Nice belt. But, I think there’s something fishy with the belt. Old stock, eh? My hubby doesn’t mind if it’s in this condition as long as it can still be used. He’s not that fussy, anyway. But, having this kind of damaged item is a BIG NO NO! Merchant should check the item first before deliver to customer! 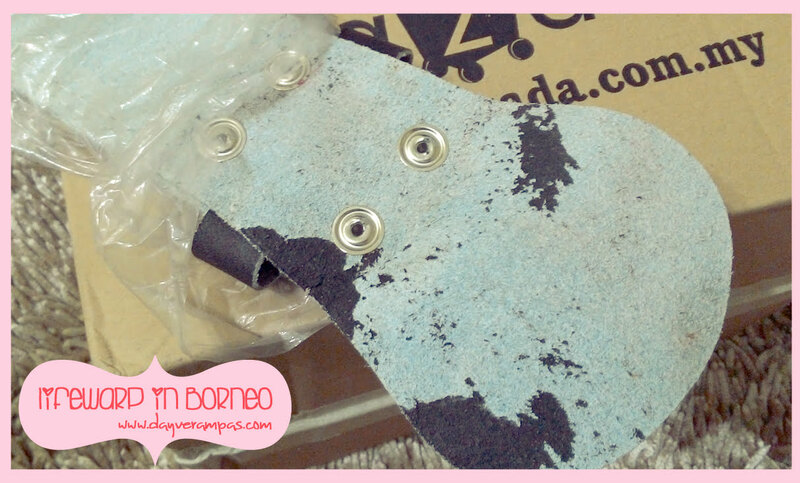 This is considered as damaged item – Not ‘in perfect or acceptable’ condition liao. I’m not sure what Lazada’s solution for this kind of problem but if the solution is to have the customer return this damaged item to Lazada and the customer has to pay for the shipping fee, then I must say that’s not a solution for both parties. It’s just another excuses to get away from the problem because customers would never want to incur extra expenses to replaced with a new and unbroken item. It’s Lazada’s duty to maintain good customer experience even when the outside merchant is making the sale. I’m wishing that Lazada can be like Amazon whereas they fixed customers’ problems in order to build and maintain loyalty with customers. I’m aware that some outside merchants can be Achilles’ heel, and this would taint Lazada’s reputation if no action taken. Quality control is vital in a business. Every items should be checked before they are delivered to the customers. Why? To reduce the delivery cost, as well as to prevent negative feedbacks from the customers. Customer complaints, and returns are costly! One negative feedback always ruin a business’ reputation in the long-run. I must say deleting customer’s feedback or changing the merchant’s name to ‘Others’ won’t give a business any benefits. My hubby wrote a feedback on the merchant’s product (belt gym) but then the feedback has been deleted. Why bother setting up a feedback form if you cannot even accept negative feedback? Moreover, when it comes to broken item. Merchant should check the condition of the item (first and foremost) before having it deliver to the customer. It’s alright to tell the customer if the stock is damaged, and you cannot deliver it. We can understand such situation, and the solution is to refund our money back just in case you no longer have any units left in stock. Please do not deliver damaged item to the customers. We won’t help you pay for the delivery expenses because it’s not our mistake in the firsthand. In my opinion, Lazada should boot merchants out of their site if the merchants cannot meet the standard requirements. No customers would accept damaged, or torn out items. Customers pay for what they expect to receive – new, unbroken, unflawed, inviolated, and still intact. I am hoping that my hubby does not have to face a similar experience like mine which I haven’t gotten my order from MySale Malaysia (or even had my money refunded). That should be a different story, and I shall come up with MySale Part 2 story after this. Yes, their ‘online representative’ did send me an email asking for the Order Number. But, I haven’t received a single reply from this ‘Mister’ since the moment I replied him with the Order Number (even though I had it stated clearly on my blog last time. Fun-neh!). How Amazon Aims to Keep You Clicking, Bloomberg Business Week, February 18, 2009. Quality Control of Products Shipped Directly to Amazon, Renaud Anjoran, April 4, 2014.